What’s not to love about our Earl Grey table lamp? Gorgeous grey shade, tick. Touchy-feely cord, tick. 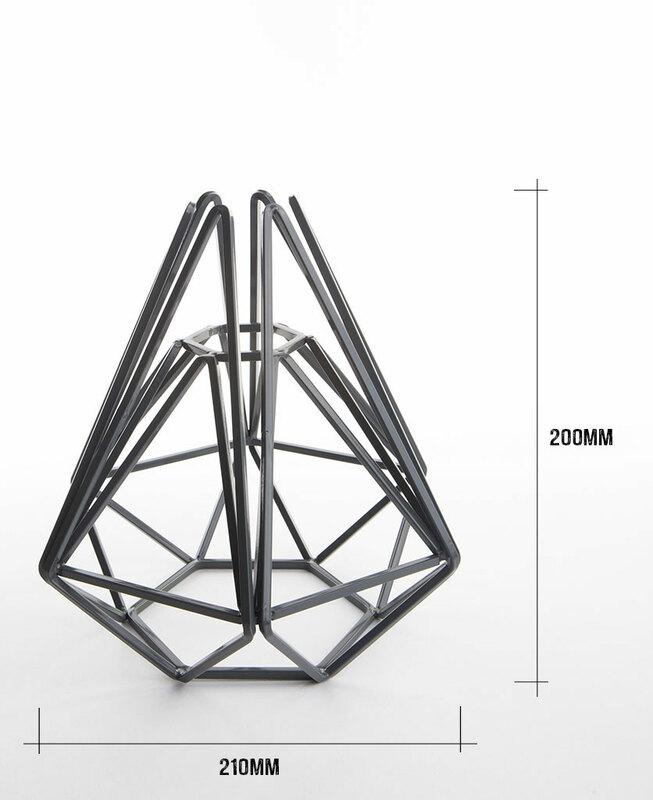 Beautiful smoked gold bulb holder, tick. If you’re going for a bit of a Dark Nordic feel then this little stunner would look absolutely spot on against a backdrop of gorgeous deep blues and greys. 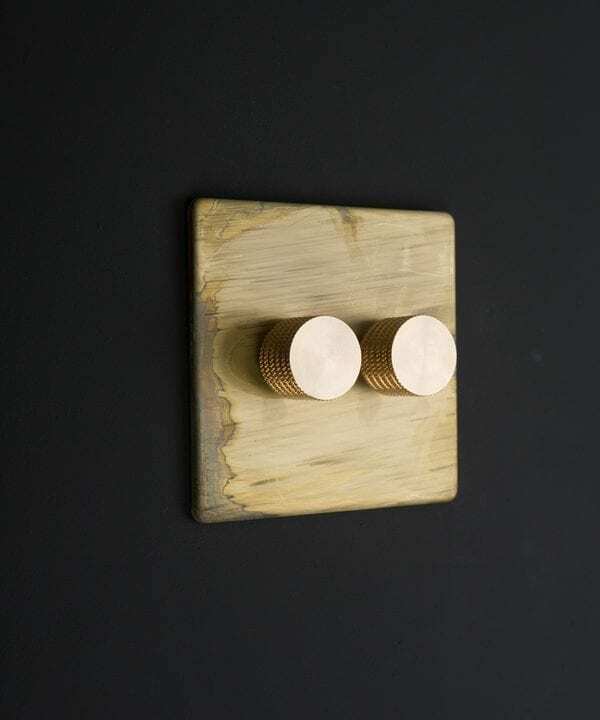 The gold and brass trend is showing absolutely no sign of fading, and at D&R we’re all over it. But let’s be clear here, we’re not talking about the gaudy tasteless brass that your parents might have adorned their house with back in the day (sorry Mum). We’re talking schmokin’ hot gold in the most gorgeous shapes, styles and hues, perfect for you design conscious folk. 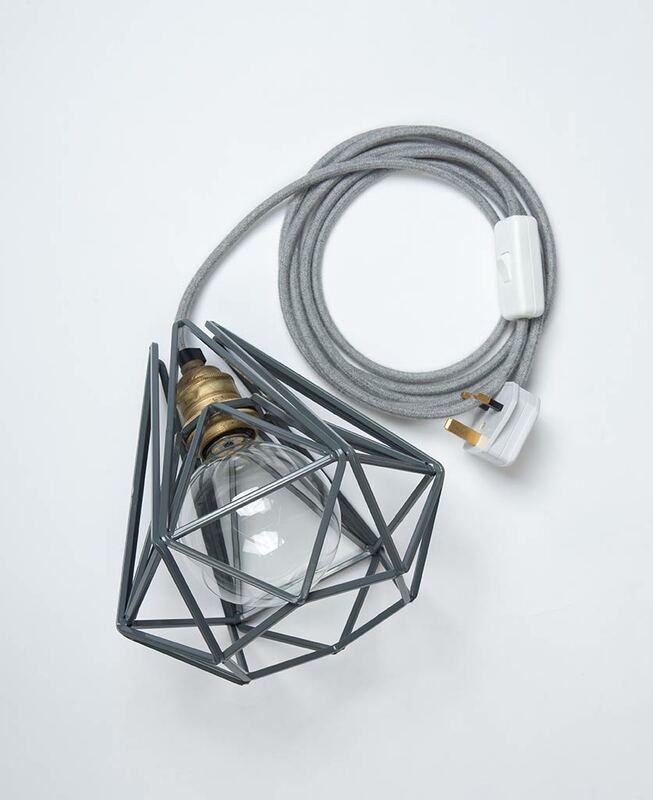 We have cleverly combined our smoked gold bulb holder with a stylish wire cage lamp shade in the most perfect shade of grey, and then topped it off with a gorgeous tactile grey felt cord. It truly is a work of art. There aren’t many colours that don’t go with grey. Come to think of it, we can’t think of one. Well maybe lime green, but let’s not go there. We really do think though that our Earl Grey table lamp would look absolutely stunning against a deep blue paint. 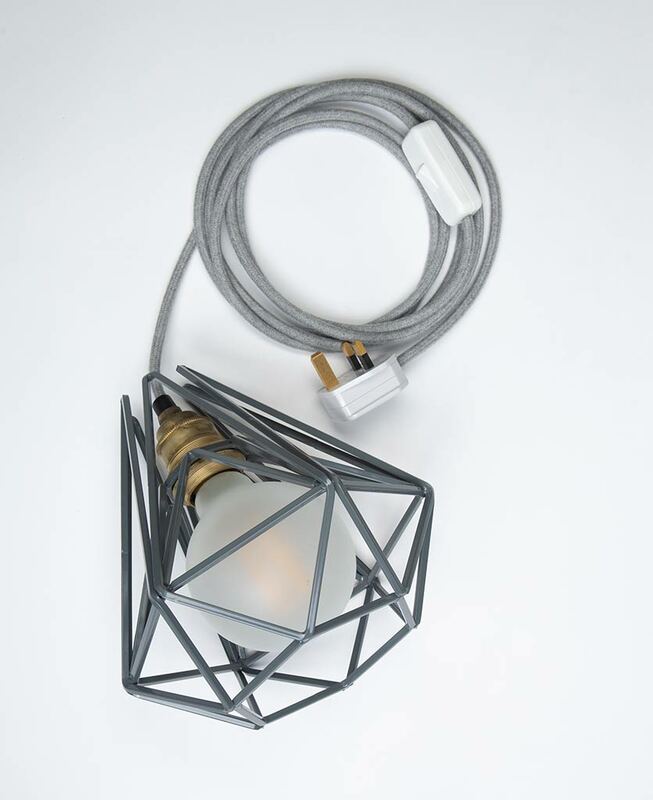 With just the right amount of moodiness, navy blue is the perfect backdrop to showcase those grey geometric lines and smoked gold bulb holder. Bring in some more greys, some natural wood, add our smoked gold switches into the mix and you’re winning. Give yourself a smoked gold star! 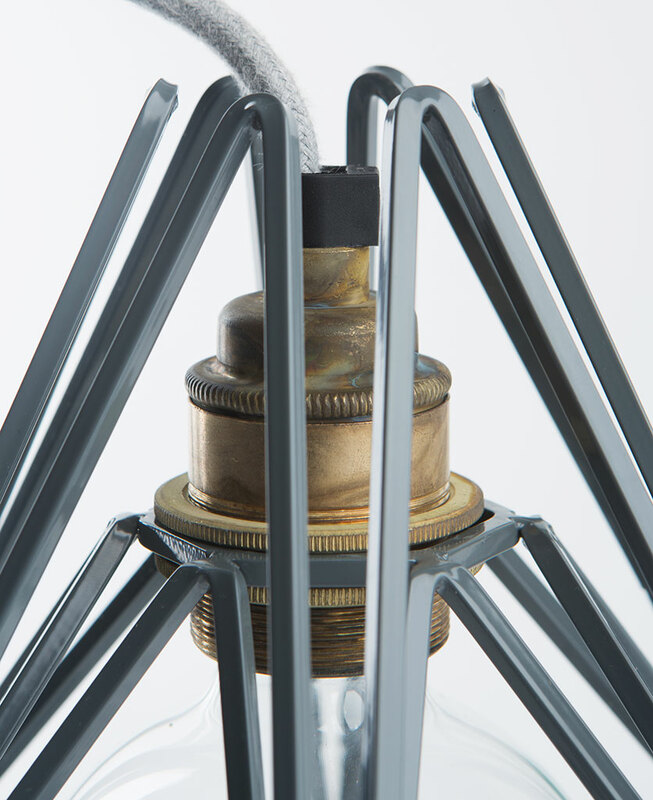 Each lamp is fully assembled with cage light shade, a smoked gold threaded E27 bulb holder, a 3m length of grey felt fabric cable, clear inline switch, clear 3 amp plug and a globe hidden filament LED bulb in either clear (ambient) or frosted (brighter).